After publishing our article on promising Childhood Education Franchises we received a number of inquiries from individuals interested in pursuing investment opportunities related to schools within the childhood education franchise segment. In particular, many inquiries have been related to Montessori franchise investment opportunities that will also qualify for the E-2, L-1, or EB-5 investor visa. We at Visa Franchise have conducted a full analysis of Montessori franchise opportunities as a number of our clients at Visa Franchise express interest in this segment of the market. As always, our focus at Visa Franchise is to find the best franchise investments that fit the unique profiles of our clients looking to invest in a business that will qualify for an E-2, L-1, or EB-5 investor visa. We strongly believe that for the right investor, a Montessori franchise can be a particularly promising investment opportunity due to the ability to scale the business and potential for strong financial returns. We have identified a number of Montessori franchises that possess the key success characteristics that other successful franchise concepts have been shown to process. Of particular importance to us when evaluating Montessori franchise opportunities is the track record of the franchisor. It is important that when an investor commits funds anywhere from $300,000 to $900,000, which is the all-in investment range we have seen within the Montessori franchise segment, that the investor has the support of a franchisor that knows how to help its franchisee achieve strong financial results. Additionally, it is important that the franchisor is a true Montessori school and follows the Montessori approach as parents have become more diligent in recent years regarding how their children are being taught within the context of the Montessori school curriculum. As an additional plus, Montessori schools tend to naturally have all of the required jobs that a franchise would need to qualify for the E-2, L-1, or EB-5 investor visa. Montessori schools are a hybrid of a childcare center, the curriculum and philosophy of the world-renowned Montessori approach, and an inspired art & science program. The Montessori method of education, developed by Dr. Maria Montessori, is a child-centered educational approach based on scientific observations of children from birth to adulthood. It involves teaching children in a unique educational environment where peer-to-peer learning, self-discovery, and uninterrupted blocks of free time are encouraged. Dr. Montessori’s method has been time tested, with over 100 years of success in diverse cultures throughout the world. The Montessori method started in Italy at the beginning of the 20th century but can now be found in countries around the world, including the U.S.
Montessori schools seek to cater to the growing interest of parents in the education of their children. Now, more than ever, education has become the pathway for individuals to find gainful employment and earn a living. Parents know that their children’s acceptance into a prestigious university enables them to have a wide range of professional opportunities once they graduate and join the workforce. The Montessori teaching approach helps children and teenagers obtain an advantage for when they are in the job market by improving social skills, providing academic support, building confidence, and teaching them basic technology concepts. Parents see the significant importance of investing early in their kids’ education, particularly through a time-tested education methodology such as Montessori, in order to give their children the best chance for success in the 21st century. Many studies show that the education environment a child, even as young as a few months old, has a profound impact on their overall development. For this reason, Montessori Schools are becoming much more popular in the U.S. However, the majority of schools that have Montessori in their name do not abide by the Montessori teaching principles. It is important to ensure that the Montessori franchise concept follows the Montessori teachings as the schools that most closely align with the Montessori principles are the ones that parents choose for their children. We at Visa Franchise have extensively studied the Montessori school franchises in the U.S. in order to find the most compelling and true Montessori franchise investment concepts that would also qualify for an E-2, L-1, or EB-5 investor visa. Montessori franchises are interesting investment opportunities, especially for foreign nationals looking for E-2, L-1, and EB-5 qualifying investments. The shift in the market towards the Montessori approach is expected to continue as more parents become aware of the benefits to Montessori education. Due to the size of the market and large number of franchise concepts, it is vital to be able to discern the successful, growing Montessori franchise concepts from Montessori franchise concepts with flawed business models or that do not true Montessori teachings. 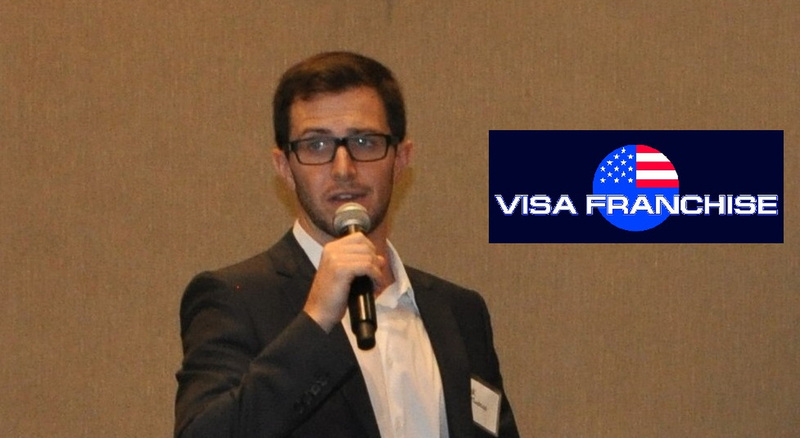 Visa Franchise’s continuous research into the education franchise market, particularly the Montessori franchise market, has allowed us to find the most promising Montessori franchise concepts for our clients looking to invest in a business that qualifies for an E-2, L-1, or EB-5 investor visa. We plan to continue to revisit this industry as it continues to evolve to address the 21st century education market.